Which Prius is best for me? What does ECO mode do? What does EV mode do? What vehicles have available remote start? 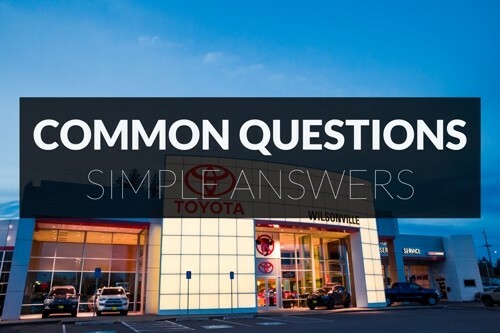 What is the difference between used and Toyota Certified Used Vehicles? Does my vehicle need a tune-up? What should I do if my vehicle is included in a recall? What do these Camry warning lights mean? What do these Tundra warning lights mean? What is covered in ToyotaCare’s no cost maintenance program? What costs can come up when I buy or lease a vehicle? What’s the difference between a guarantee and a warranty? A guarantee is generally a promise of customer satisfaction while a warranty is a list of specific items that will be replaced or repaired should they break or need to be serviced within a predetermined time frame. Jacks can typically be found under the floor of your trunk, behind or under the seats, or within the trunk’s side compartment. The basic Prius—also known as the Prius Liftback—is a general-purpose hybrid that’s perfect for the average driver. The Prius Prime is a more technologically advanced version of the base Prius. The Prius c is compact and great for city driving as well as parallel parking. And the Prius v is more spacious and intended for adventurous and/or family-oriented driving. ECO mode increases your vehicle’s fuel efficiency by reducing its accelerator sensitivity as well as the power used by its air conditioning system. EV mode is an all-electric driving mode specific to hybrids that only utilizes power from the vehicle’s battery. This mode is typically only useful for short distances at low speeds. Toyota’s remote start system allows you to start and stop your engine via your vehicle’s Smart Key fob. This feature can be added to many Toyota vehicles. Check our full list to see if your vehicle is eligible for Toyota’s remote start system. Toyota Certified Used Vehicles (TCUV) come with many perks that non-certified vehicles simply don’t offer. Each TCUV goes through an extensive 160-point inspection to ensure that everything is in excellent shape and ready to hit the road. TCUV’s also come with a standard 12 month/12,000 mile comprehensive warranty, a 7 year/100,000 limited powertrain warranty and 1 year of complimentary roadside assistance. Most likely, no. Unless your vehicle is particularly old, it shouldn’t contain the mechanical parts that used to require tune-ups. First, find your VIN (the 17-character number typically printed on the inside of your driver’s door jam and/or near the bottom of your windshield). Once you have your VIN, you can enter it into sites such as recalls.gov, safercar.gov, and toyota.com/recall to get specific recall information about your vehicle. You can also call Toyota’s Customer Experience Center at 1-800-331-4331 or contact your preferred dealership for recall information and updates. While many warning lights are universal among Toyota vehicles, some are specific for each vehicle’s technology. For example, the Tundra will have some 4-wheel-drive related warning lights that will not appear on many other Toyota vehicles. This guide is intended to help you identify specific Tundra warning lights, so you can be aware of what actions need to be taken to correct them. 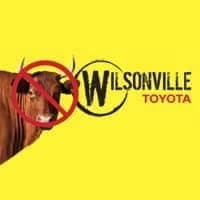 Wilsonville Toyota knows that you barely have enough time in the day to squeeze in a phone call to the Service Center, let alone spend hours waiting on auto repair. That’s why we have adopted Toyota’s fast and competitively priced pit-crew approach to vehicle service, Toyota Express Maintenance, (TXM) at our Toyota Service Center. Our Toyota Certified technicians have deployed TXM to make sure your service is just as high quality as it is quick. How do I schedule service for my Toyota? Is your car ready for service? Luckily, we’ve made the process of scheduling an appointment pretty easy. To make a service appointment, either call us at (503)-582-9040 or click here to schedule an appointment online. Auto maintenance doesn’t have to break the bank – especially when you have ToyotaCare. This no-cost maintenance program comes standard on all new Toyota vehicles and covers the replacement of engine oil and filters, tire rotations, multi-point inspections, fluid inspections and the topping-off of fluids. ToyotaCare’s no cost maintenance plan covers your Toyota for 2 years or 25,000 miles (whichever comes first) and also includes 2 years of 24-hour roadside assistance. The simplest costs associated with purchasing or leasing a vehicle are vehicle price and interest. You can also expect to pay DMV costs linked to titling, licensing, and registration. If you want your dealership of choice to handle the document processing, you’ll likely need to pay a document fee and an electronic filing fee. You may also need to pay DEQ costs if your vehicle requires an inspection as well as a county charge depending on your present county. Finally, if you’re leasing a vehicle, expect to pay an acquisition fee and a disposition fee at the start and end of your lease respectively.